Digital accounts for more than 50% of the time people spend with media worldwide. Print is worth a seemingly trivial 5%. Why then, should CMO’s even consider the dinosaur many believe print to be? 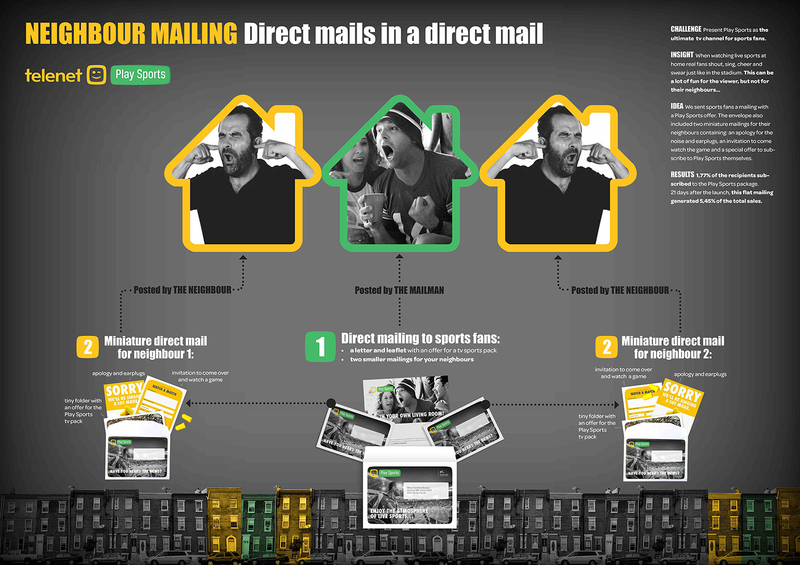 Even if we haven’t been able to measure the exact extent to which our audience actually converted into ambassadors at their neighbours’, the ‘Ear Plug Mailing’ did increase subscriptions in a significant way. Our own experience tends to confirm the power of print to generate conversions and – very likely – even advocacy, suggesting a potential impact for print in the customer journey’s most remote corners. Aaron Dun, CMO at Intronis, attributes these results to targeting and tracking: “This campaign was successful because the team included only 50 prospects and tracked the results of each round to improve subsequent rounds.” “Retro can be both cool and effective,” one analyst concluded. According to the CMO Council, by the way, “56% of marketers claim personalization drives higher engagement.” No wonder ‘the digital practice’ is increasingly being copied in print: variable printing is by no means a new process, but it’s being used more frequently as advancements in printing technology have lowered the cost, democratizing complex, yet affordable personalization. While that might sound like a discomfiture for the brick-and-mortar mailbox, it also means receiving an email is everything but rare or remarkable. Print marketing, on the other hand, “is used less, so it stands out more.” Call it economics. 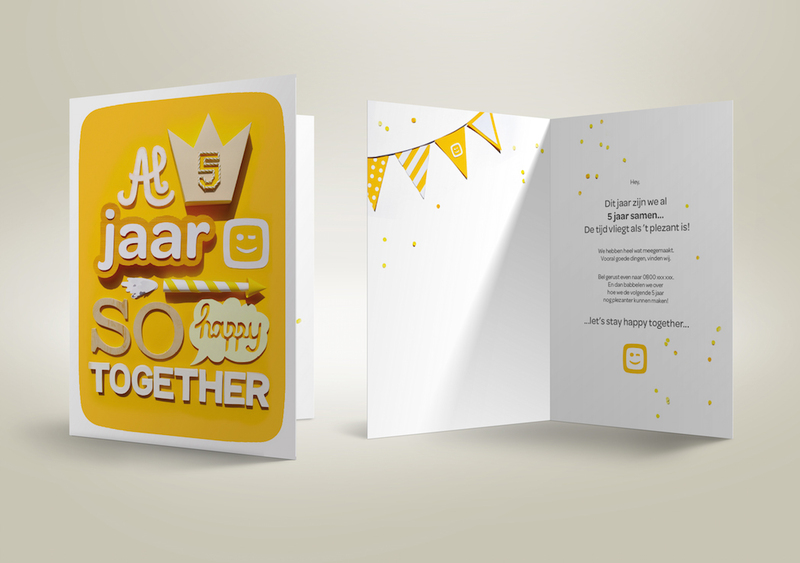 People still feel flattered – happily surprised if you wish – when addressed in a personal fashion by a physical DM. And last but not least: qualitative return should absolutely be taken into account. 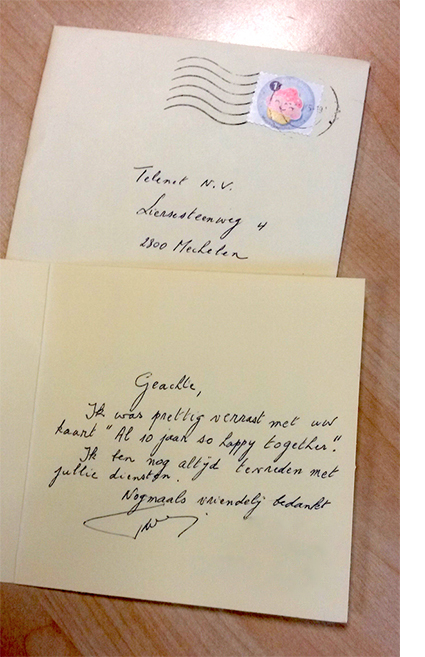 If your DM audience returns a tweet or even a hand-written thank you note – which actually happened following a loyalty mailing we did for Telenet earlier this year (see photo) – the advertiser must have done something worthwile. Ad-blockers – there they are – banner blindness, clutter folders, spam filters or even the notorious digital ‘content shock’: circumstances in cyberspace seem to further encourage advertisers to reconsider print. Crucial, in sum, is content worth reading. Especially print requires radical relevance. According to the DMA Fact Book mentioned above, “the fraction who find direct marketing ads useful has increased especially for high-income households and for ages 18-21. More than 62% of that last group read print ads immediately.” And rightly so, of course: “74 percent of readers trust educational content from brands—as long as it doesn’t push a sale.” Four Seasons Magazine is a fine example of useful, branded inspiration, offered to more than a million of affluent readers worldwide. Subaru drivers feel smarter after reading Drive Performance magazine. Etc. According to Marin Software’s second annual Digital Marketing Manager’s Census, 68% of senior marketing professionals say online and offline need to be better integrated. A recent survey by Pitney Bowes, for its part, reveals 3 out of every 4 advertisers prefer to combine digital and print. And they should. Short distances are undoubtedly best covered by digital, but if it’s a marketing marathon you want to win, now is the time to include print.